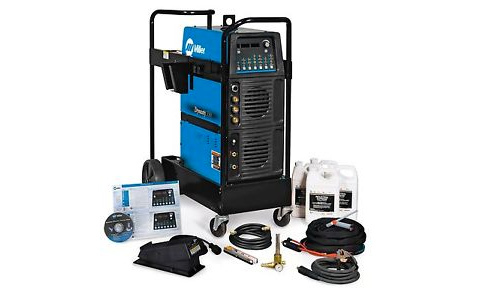 The Miller Dynasty 350 Water Cooled Welder is the finest 350 Amp AC/DC TIG welder on the market. The Ceriated Tungsten is SHARP POINTED and can be used on all materials including aluminum and other similarly soft metals. While in AC mode you can vary the wave frequency up to 250Hz. The arc becomes more focused as you increase the frequency. 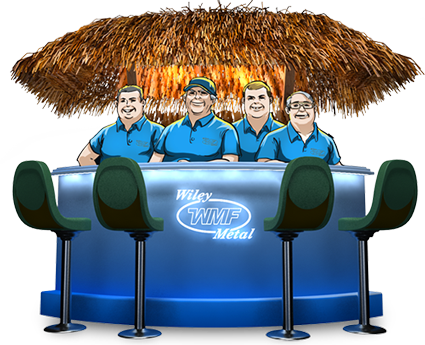 It’s so smooth and works so well, it makes you feel like you are welding steel or stainless steel when you are welding aluminum. With less amperage you can weld thicker aluminum due to the arc being more focused without wandering.